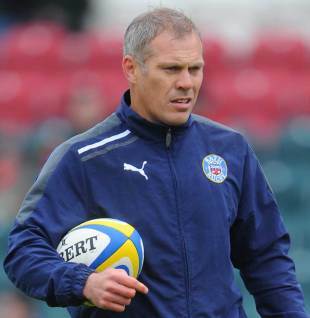 London Wasps have bolstered their coaching resources ahead of next season with the recruitment of former Bath coach Brad Davis. Davis left Bath in February after joining them in 2006. But with Gary Gold bringing in almost an entirely new coaching staff, Davis felt it was the right time to move on. And Wasps have snapped him up ahead of next season as part of their new-look coaching set-up. Shane Howarth has left the club due to family reasons and is reportedly on the verge of a switch to Worcester Warriors. With Howarth gone, former Welsh fly-half Stephen Jones will move from the playing field to the backroom staff as the club's new backs coach. Davis will take on the coaching of the team's defence and director of rugby Dai Young, who will also look after the forwards, is delighted with his team. Young said: "We are sorry to lose Shane who has done a good job for us this season and we've reluctantly released him from his contract after his requests, due to his family wanting to move out of London. "Stephen has already had a big influence in our attack this season and I am very confident in his ability to step up and carry on where Shane has left off. Brad Davis will also be a very good addition for us. He's an excellent coach and is highly rated by the players who have worked with him and I think he brings a nice balance to the coaching team giving us a much stronger focus on our defence." Davis, who came to Bath from rugby league, is relishing the chance to start working with Wasps. He said: "I'm excited to have the opportunity to join Wasps and to work with Dai and the team in helping them to achieve their goals. "It is a squad full of huge potential and they have played some great attacking rugby this season so I'm really looking forward to working with the players to strengthen their defence so that we can compete and win games consistently at the highest level."